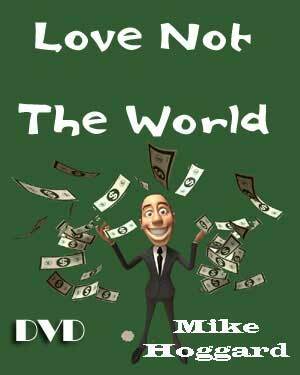 Message based upon 1 John 2:15-17 - "Do not love or cherish the world or the things that are in the world. If anyone loves the world, love for the Father is not in him. For all that is in the world--the lust of the flesh [craving for sensual gratification] and the lust of the eyes [greedy longings of the mind] and the pride of life [assurance in one's own resources or in the stability of earthly things]--these do not come from the Father but are from the world [itself]."